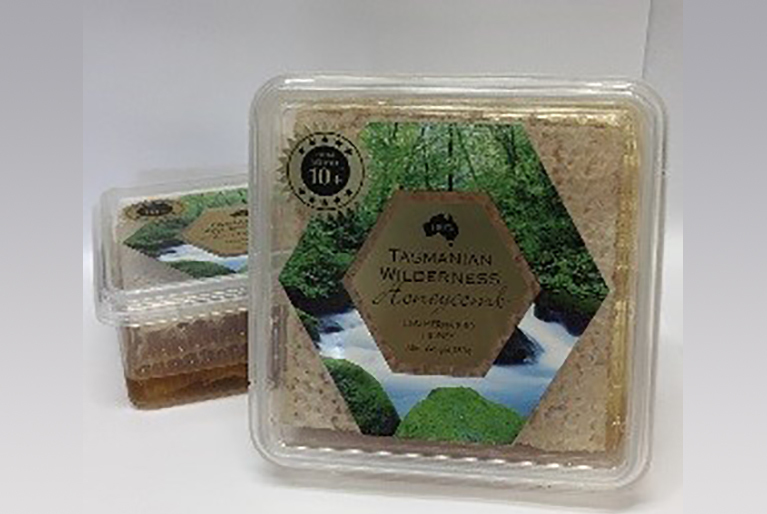 This leatherwood honeycomb comes from the Tarkine Wilderness in North-western Tasmania. Leatherwood is distinct and strong in flavour, unique to Tasmania. Easy to eat – slice by knife or just bite into! The wax is digested by the body without trouble, but some folks rather spit out the wax when they have chewed out all the honey.